We are happiest when given a chance to do work for God. The church we go to (Adam Road Presbyterian Centre) wanted to make a Father's Day Gift that would contain a meaningful message about fatherhood and could be easily passed around. Our job was to help design packaging for this gift, a CD. The idea was for a kind of letter from God our heavenly Father to those of us who are fathers. 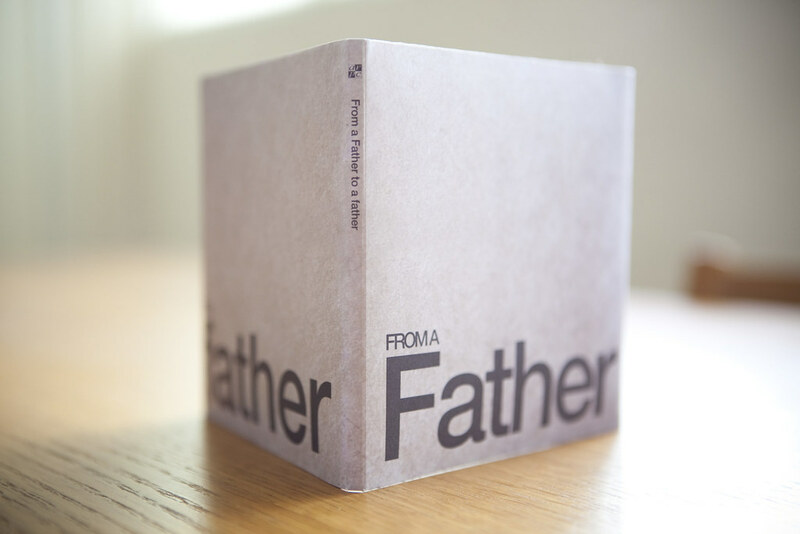 As such, the 'texture' of the paper pack was made to resemble that of a Manila envelope that, when opened, simply showed an image of a father embracing his child. Parenting, especially fathering, is under siege. do the job. Or the fact that we, as a nation, need a “Foster Parents” programme (a most recent initiative by our Ministry of Community, Youth and Sports) – all point in one direction. Fathering is in crisis! Perhaps the most crippling thing in encountering a personal crisis is this: the realization that help is not available and change is not possible. Nothing devastates the human spirit more than helplessness. The prospect of living with the same bad habits in marriage and the same sad circumstances in family often decimates even the bravest hearts. Day by day, spouses bicker and children suffer. Year by year, parents fail and children falter. Jesus Christ can make a whole world of difference. This CD is a gift to all fathers at Adam Road Presbyterian Centre (ARPC) and beyond. For our friends – we pray that you would be helped in knowing God’s heart for marriage and family. And, most importantly, helped in knowing God. For those in ARPC, I want to thank you personally for being part of God’s spiritual family here. By God’s grace and design, I would have met and ministered to many of you in different seasons of life. From the excitement of your dating days to the early years of your carefree marriages to your present weightiness of parenthood. For all fathers, I want to remind us of two important truths. First, we have to humbly acknowledge that we need God. He is our Heavenly Father. He knows, not something, but everything about true fathering! The need for truth-telling in our relationships, the need for tough love, the need for loving discipline. We find them all in the character of God! Second, we have to humbly acknowledge we need one another. By being part of ARPC, you are unknowingly declaring that we need one another as God’s family! Parenting is not a solo lone-ranger journey but a family pilgrimage. As our opening song suggests - we want to learn, encourage and mature together. The times when I felt most condemned as a failed husband or father, it was the quickness and willingness, prompted by God’s Holy Spirit, to turn to God in prayer and His people for encouragement that delivered me from the peril of helplessness to the unshakeable joy of “divine”, not self-sufficient, fathering. I have no greater “job” and joy than to point you to our triune God! Many have marvelled and remarked about my joyful marriage to Mona and the wonderful children God has blessed us with. I, for one, know acutely with every ounce of my being that none of that is due to any human effort but all is by God’s grace alone. If not for our graced life in Christ and the Spirit, we – like you - would not stand a chance with holy living in this dark world, our stubborn natures and Satan’s schemes. The closing song reminds us to bend the knee to Jesus. These simple songs and the recorded sermon is a small personal effort to say: Don’t give up! Help is available and change is possible with Jesus Christ as Lord! Amen! May we enjoy “From a Father to a father” and learn to grow as children and parents together.